Maximum capacity for the gite is 4 people. We are able to accommodate an extra child under 10 years old on a pull out bed. If you would like to add an extra child, book for 4 people and let us know via email. Please do not use the booking form to make general enquiries. If you would like to bring your pet, please email us before hand. Check our online Availability Calendar for your preferred dates and click ALL the days to select the week required . The changeover day should also be selected and it is recorded as half a day for your arrival and departure. The completed booking form indicates that you and all your party have read and agree to abide by the booking rules as stated below. Please complete your parties details on the online booking form. Click ‘send’ and you will be re-directed to our secure online payment service. (Paypal). Where you pay the £200 non-refundable deposit. The booking is now secured. Dates requested and ‘reserved’ will not be secure until the non-refundable deposit of £200 (per week) has been paid and a confirmation email has been received from us to you. Short breaks and bookings taken less than 8 weeks from the start day of the holiday will require the full accommodation tariff to be paid upon the time of booking. 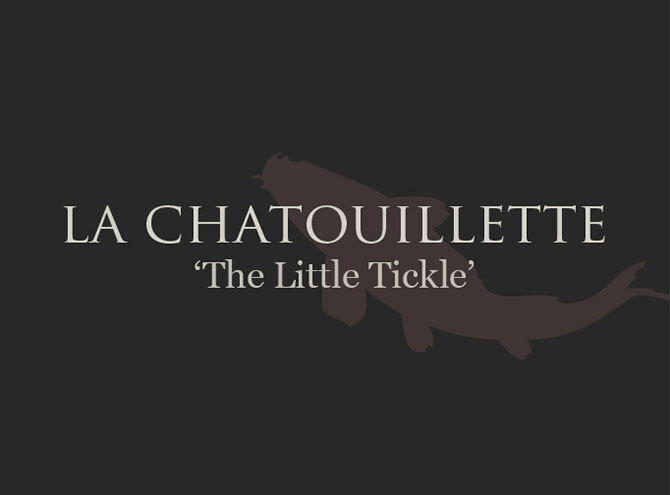 Alternatively, if you prefer to pay by a direct bank transfer, please email info@lachatouillette.com to request our bank details and a booking form. The balance of the holiday tariff is due no less than 8 weeks before your arrival date, a ‘gentle reminder’ email will be sent to you. The property known as LA CHATOUILLETTE, (“the Property”) is offered for holiday rental subject to confirmation by Allan and Josie Munn (“the Owners”) to the renter (“the Client”). To reserve the Property, the Client should complete a booking form book online or via email and pay a non-refundable £200 deposit (per week) either through Paypal or Direct Bank Transfer. The Owners bank details will be sent to the client. The Owner will provide a email for the Client to confirm payment and holiday details . The Client agrees to pay the balance using the Owners bank details or Paypal, so that the remaining sum can be transferred no later than 8 weeks before the start of the rental period. If payment is not received by the due date, the Owner reserves the right to withdraw the reservation and offer the dated again on the calendar. Booking made within 8 weeks of the start of the rental period requires the full tariff to be made at the time of booking. The client agrees to pay the Taxa de séjour (tourist tax) for the appropriate amount and the number of qualifying guests at the time of arrival. The rental of the Coach-house Gite is for the agreed dates and named guests made at the time of booking. (prior agreement is necessary with us for visitors). The Rental Period shall commence at 2.00pm on the first day of the holiday and end at 10.00am on the last day of the holiday. All bed linen, bath towels, tea-towles, and Eco friendly cleaning products are provided for the Bathroom and Kitchen. If your stay is for two weeks or longer, clean bed linen and towels are provided. If you require a mid-stay freshen up , which includes bed changes, please ask for details. For exclusive fishing on the lake there is a charge of €25 per angler\per week. The Client agrees not to smoke inside the Coach-House Gite/ Games room. Smoking outside is acceptable. The Client is expected and has agreed to leave the property in as clean condition as it was at the start of their rental. The Owner shall not be obliged to offer the accommodation before the time stated, and the Client shall not be entitled to remain in the accommodation after the time stated. The maximum number to reside in the property must not exceed FOUR (plus a baby/young child under 10 years with prior permission. Only names guests at the time of booking are allowed to stay at La Chatouillette. A Security Deposit of €200 cash is exchanged for the key on arrival. The Owner reserves the right to make retentions from the security deposit to cover additional cleaning costs if the Client leaves the property ‘is not left in a clean as found condition’ or if extra cleaning is required and/or in respect of any breakages or damages. The security deposit will be returned to the client on the last day of the holiday and after the owners have looked over the Gite and areas used by the client. However, the sum reserved by this clause shall not limit the Client’s liability to the Owner. Please inform the Owners of any breakages, breakdown of equipment or faults in the Coach -House Gite, Games room or garden without delay. please do not attempt to repair or replace anything yourself. Arrangements for repair and/or replacement will be made as soon as possible by the owners. Taxe de Séjour ~ As from 1st January 2017 we are obliged as Gite owners to collect this tourist tax from all our paying guests 18 and over and pass it on to the Communauté d’agglomeration who are in charge of promoting tourism in the Manche departement. If the cancellation by the Client is more than 8 weeks from the start of the rental, the client will receive 50% balance refund,the non-refundable security deposit will be retained. If cancellation by the Client is less than 28 days from the start date of the holiday the client will receive a 20% balance refund and the non-refundable security deposit is retained. Any expenses or losses incurred in the re-renting (e.g.late advertising) will be deducted from the refundable amount. If the Owners are forced to cancel your holiday due to weather-related incidents or other acts of God, your Holiday Insurance should cover this and the Owners are not obliged to offer a refund. The Owners are not responsible for any loss, damage or injury, which is the result of adverse weather conditions, riot, war, strikes or other matters beyond the control of the Owner. We strongly recommended that our clients arrange A Comprehensive Holiday Travel Insurance Policy(including cancellation cover) and obtain a European Health Card (EHC).